Hi, friends! Even though Easter is really less than 2 weeks away, I’m just now doing a little Easter craft. 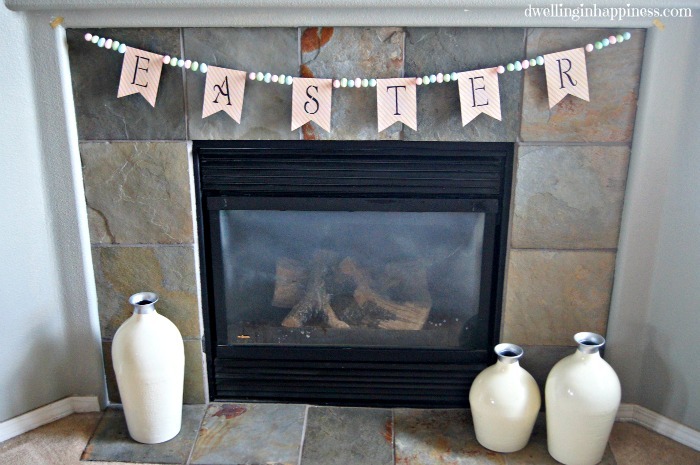 I don’t normally do any decorating for Easter, but I wanted a cute little banner that I could hang up over my fireplace. 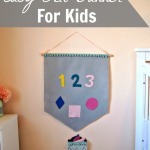 This little banner is seriously SO quick, and super easy! I whipped it out while Jade napped. A win in my book! 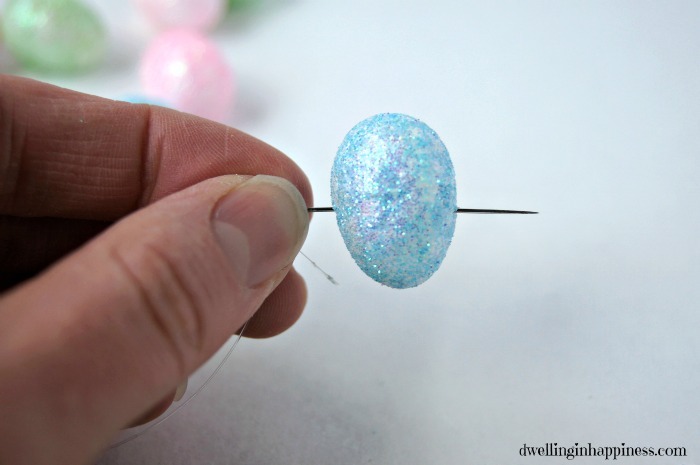 While I was perusing around the Dollar Store last week trying to find bins so I could organize my linen closet, I came across these adorable little glitter Easter eggs. I knew I needed to do something with them, so I brought them home with me. They were so perfect for this little banner! 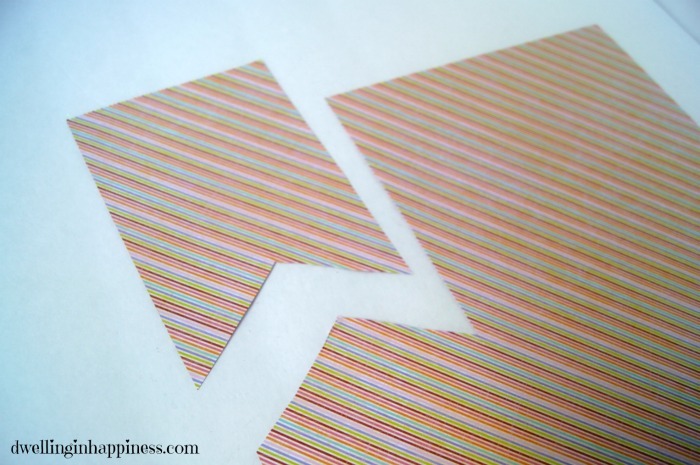 First, I chose some pretty scrapbook paper and cut out a banner shape. I didn’t do any fancy measuring, I just used my letter stencil size as a guide for how big I wanted each banner, and used a ruler to draw the straight lines. I used my first banner as a “stencil” to trace on the other 5 I needed. 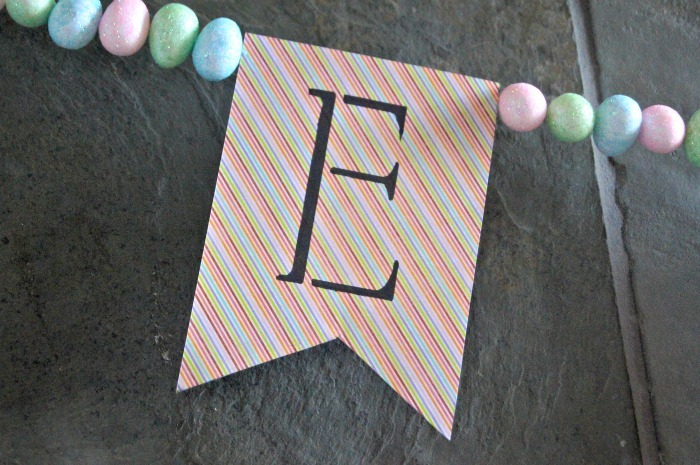 I then used my letter stencils to stencil the letters for “Easter” on each banner. I just held the stencil down really tight so it wouldn’t move and used my Sharpie to draw the letters. 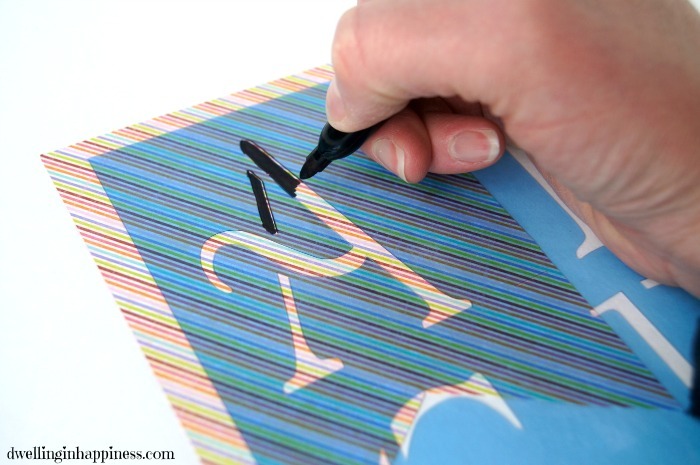 If you have beautiful writing unlike myself, you could easily just freehand some pretty letters on, too! 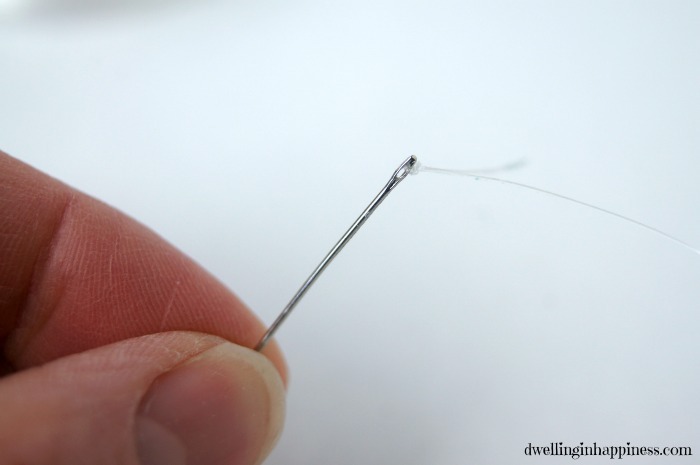 To add the foam Easter eggs, I started by threading and tying some fishing wire onto my needle. I then just “threaded” on the foam eggs. I threaded on 6 eggs to start, and then added my “E” letter banner. You could easily use clothespins to attach the banners to the fishing wire, but I didn’t have any small ones on hand so I just flipped the banner over and taped on the fishing line at the top. I continued on with each letter banner, threading on 6 eggs, then taping the next letter on. Super easy, right? I just used a little gold washi tape to hang it up over my fireplace! 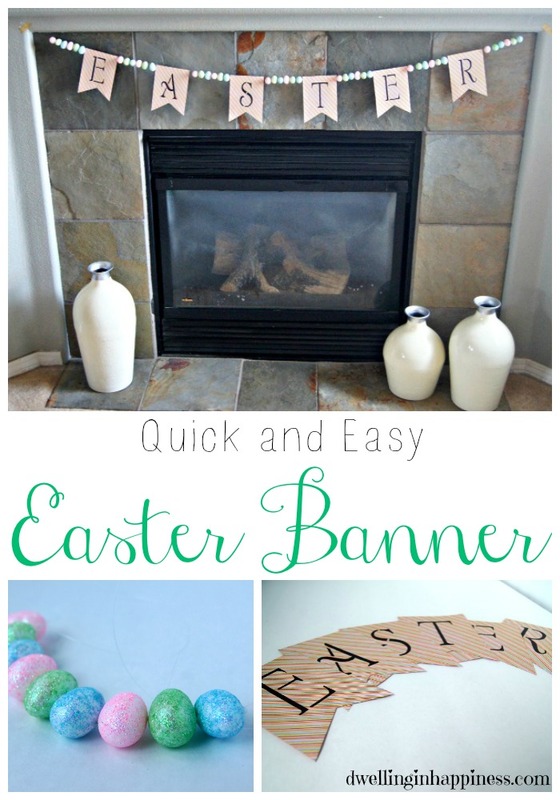 Love this fun and easy Easter banner! Thanks so much for the inspiration. Pinning! Thank you, Ashley!! 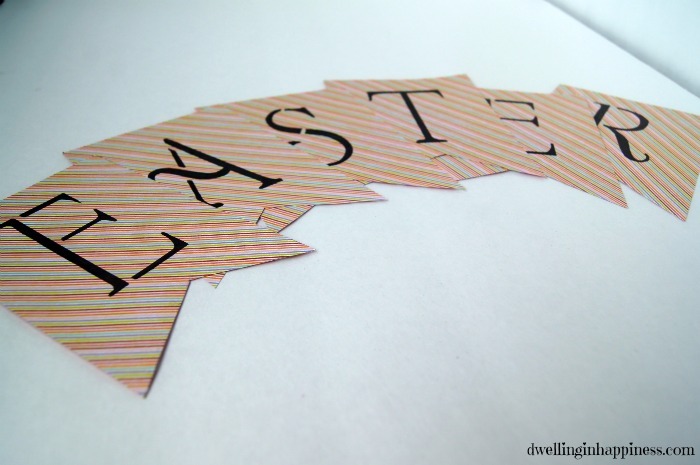 I love me easy crafts, and this fits the bill! 🙂 Hope your having a great week, friend! This is amazing, perfect! I was just getting ready to figure our to create one of these banners to saying happy Easter, and then birthday to switch it out, and here it is! 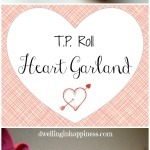 PINNED and using! 🙂 I would love for you to share this over at my new link party Making Memories Mondays going on now! 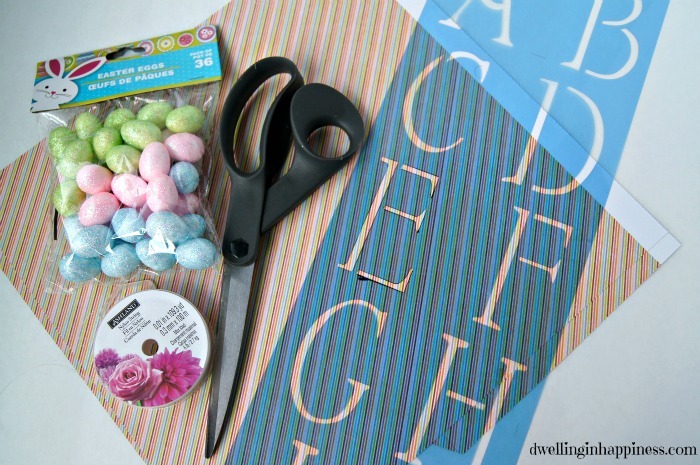 I love how you stenciled the letters right onto the paper! I would have guessed they were printed, they look great!!! Thanks Carrie! I thought that’d be the easiest way to do it. And I got a little lazy. 😉 Hope you’re having a fab week, friend! Thank you, friend! Quick crafts are the BEST! Esp. with kiddos. 😉 Happy weekend! I love this banner! The eggs are the perfect addition! Aw thank you, Melanie!! Those little eggs are too cute, and I love how they are just foam! 🙂 Hope you have a fab week! So cute Amanda! 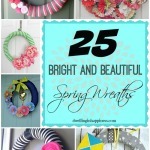 Love it when a craft is cute, quick and easy. Thanks for sharing. Thank you, Kristi! 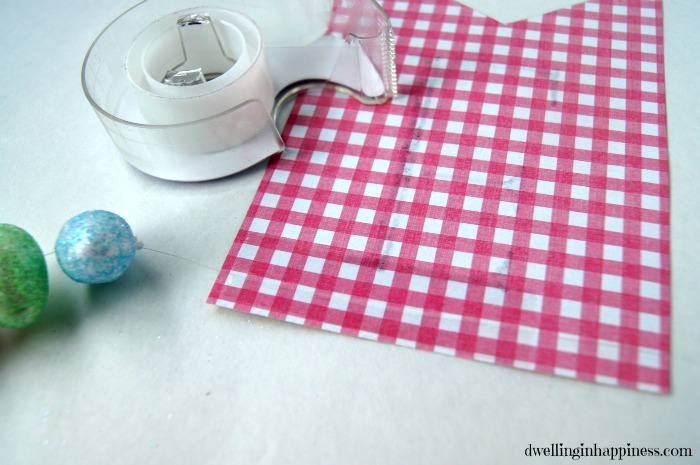 I love easy and quick crafts, too. Especially ones I can whip out during naptime! 🙂 Hope your week is going great so far! Adorable! Now I’m regretting not snagging some of those Easter eggs at the Dollar Store! Thank you, Samantha! I grabbed a few bags when I saw them not knowing what I wanted to use them for. This was perfect! 🙂 Hope your week is going great! 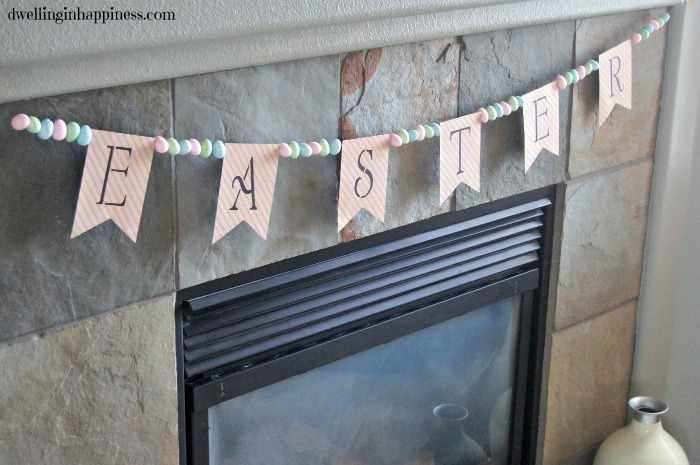 This is such a cute little Easter banner! I love how easy it was to make! 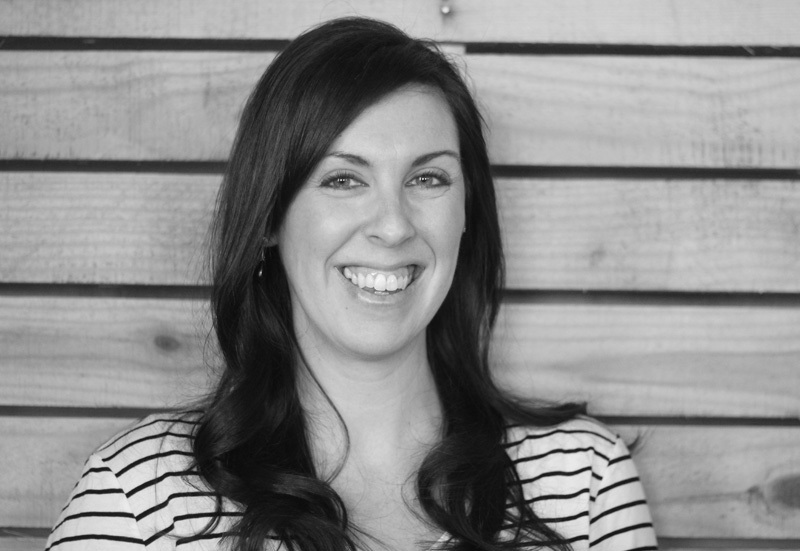 Shelly recently posted…Lavender Essential Oil Giveaway! Thank you, Shelly! I love super easy crafts. 🙂 Happy Easter, friend! 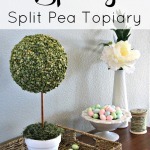 It’s really cute and the perfect last minute decor! Love it. Thanks for sharing at The Creative Circle. Thank you, Kathy! 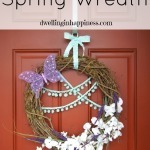 Its so easy that it could be thrown together super last minute! 🙂 Happy Easter! Aw, so precious! This definitely looks like something you could buy in a store! So professional looking 🙂 Just love those little sparkly eggs! Thank you, friend! For a quick little project, I was pleased with how it turned out! Hope your weekend is going great! So, so cute! 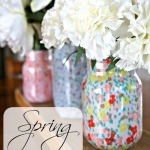 I love quick, inexpensive projects! Thanks so much for sharing with us at Talented Tuesdays! Thanks, Amy! Me too! 🙂 Thanks for hosting a great party each week! These are such a beat idea and yes – “nap time easy!” I made one for a friend’s bridal shower a while back. Love the little eggs as spacers! Great job! !